China is one of the largest construction markets in the world. In fact, a new report, Global Construction 2030, forecasts the volume of construction output will grow by 85% to $15.5 trillion worldwide by 2030, with China leading the way ahead of US and  India. 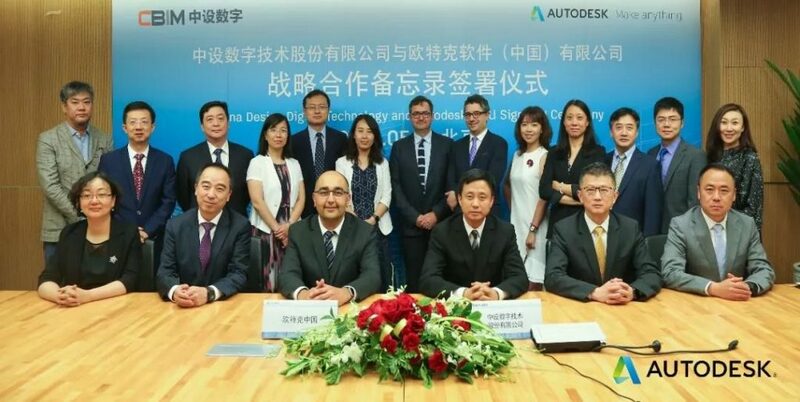 To help ensure that construction output grows in lock-step with construction productivity, Autodesk and the China Design Digital Technology Co. Ltd. (CDDT) signed a new partnership last month to advance BIM adoption. The two will also co-develop localized solutions, or CBIM, that align with Chinese architectural design codes and drawing standards. The memorandum signed by Mr. Li Shaojian of Autodesk and Ms. Yu Jie of the China Design Digital Technology Co. Ltd.
To understand the promise of BIM for future construction projects, just look at the iconic Samuel Chao Chung Ting Science Museum in Rizhao City, China. 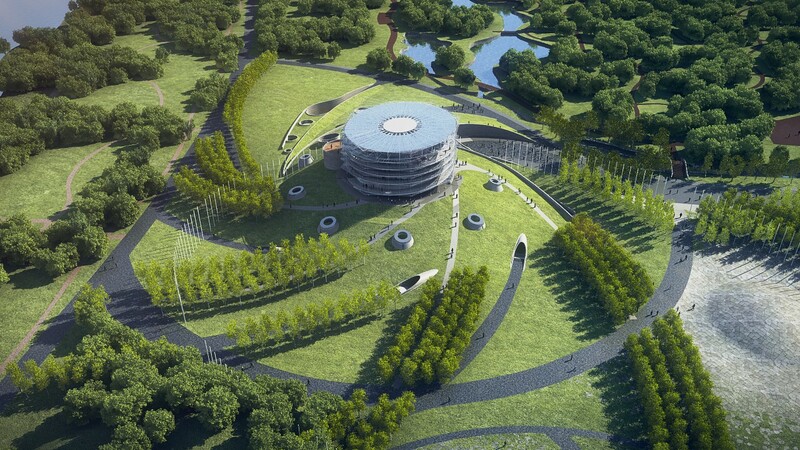 Named after the Nobel Prize winning physicist and designed China Architecture Design & Research Group (CADG) using Revit and CBIM, the complex structure won an AEC Excellence Award in 2016. 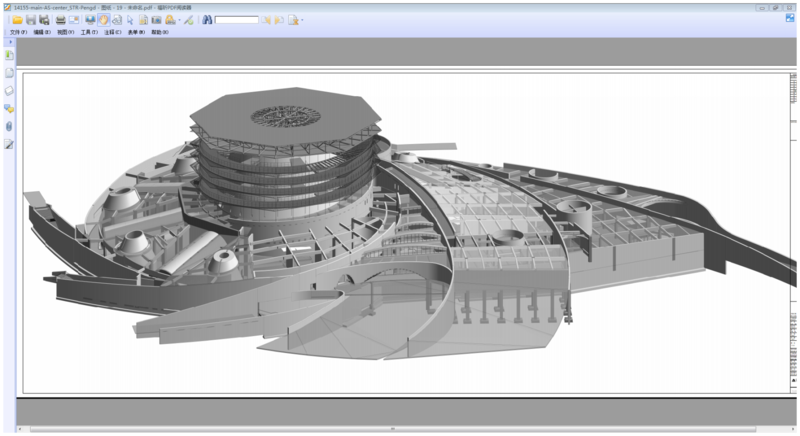 It’s a great testament of the potential of CBIM to advance the architecture industry and computational design in China. Aerial and perspective views of Samuel Chao Chung Ting Science Museum. Images courtesy of CADG. What’s especially noteworthy about the collaboration between Autodesk and CDDT is the joint objective of the two leaders to drive the application of BIM to the construction of new “smart” cities – from design and construction to operations and maintenance. With this effort, they aim to spur innovation in BIM for urban construction, drive technological advancement, and improve the productivity of China’s AEC industry. It’s no secret that China is rapidly urbanizing—more than half of the country’s population now lives in cities, and  over 100 Chinese cities  have a population of more than 1 million people. With China’s plans to develop more than 280 purpose-built eco-cities, from the eastern seaboard to the fringes of Central Asia and from Inner Mongolia to the hinterlands of the south, it will be exciting to see BIM shaping the future of China’s built environment.